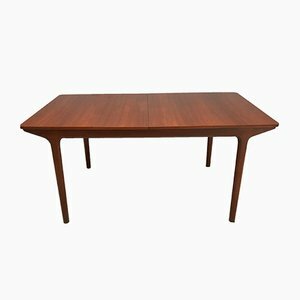 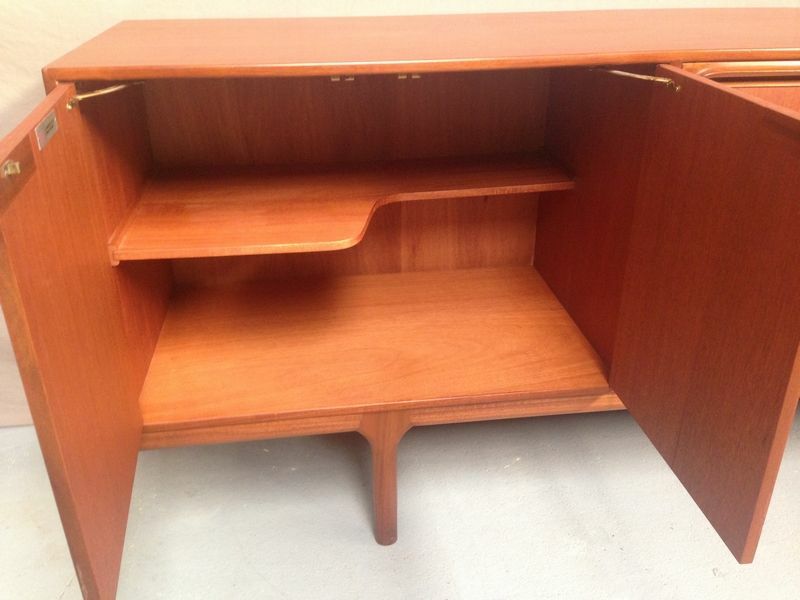 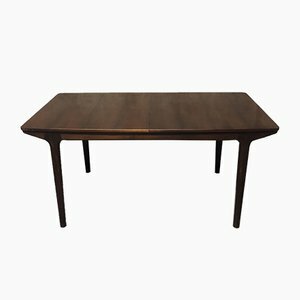 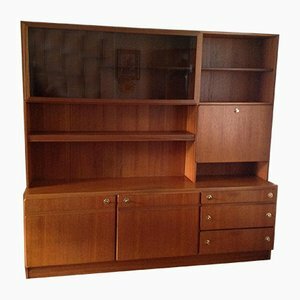 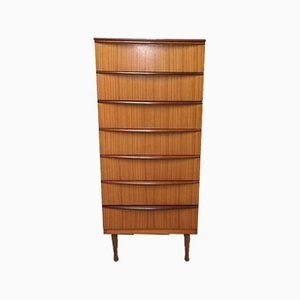 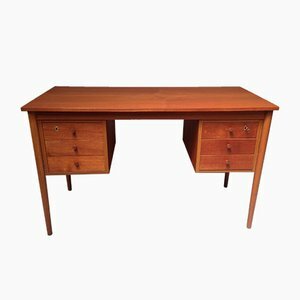 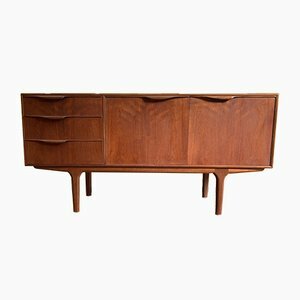 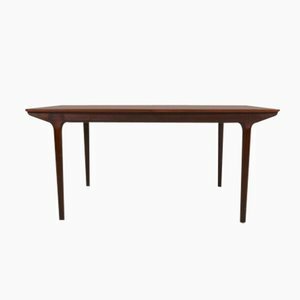 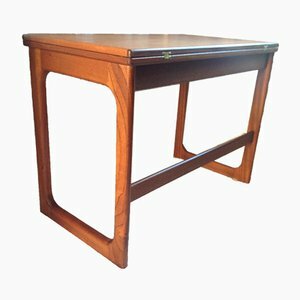 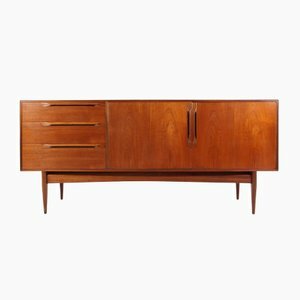 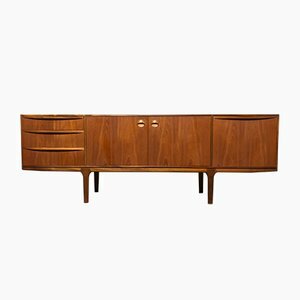 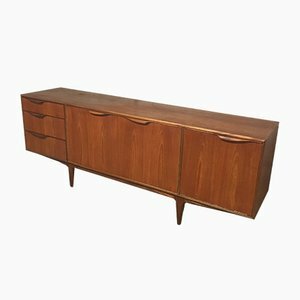 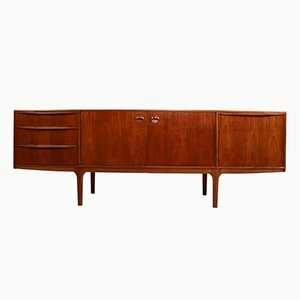 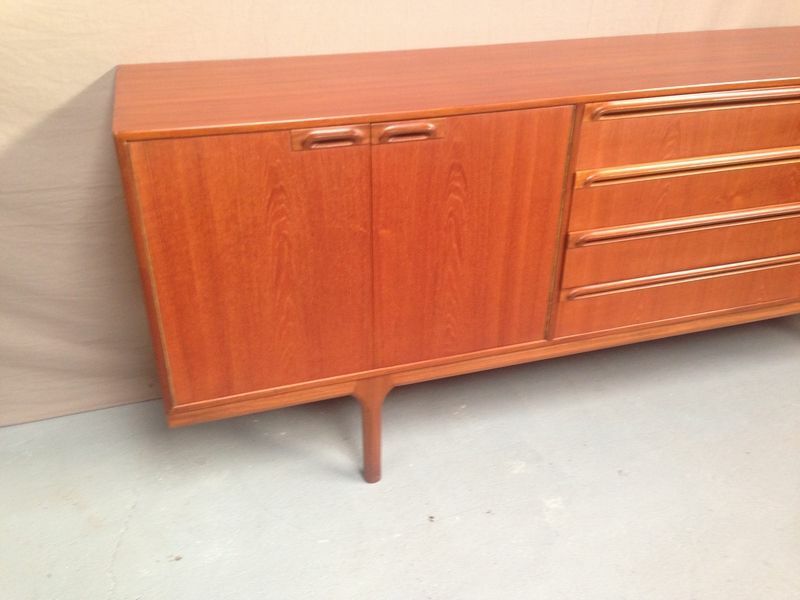 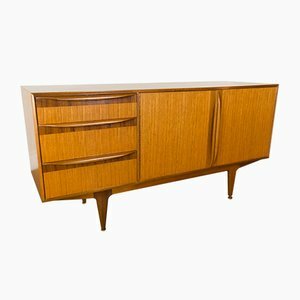 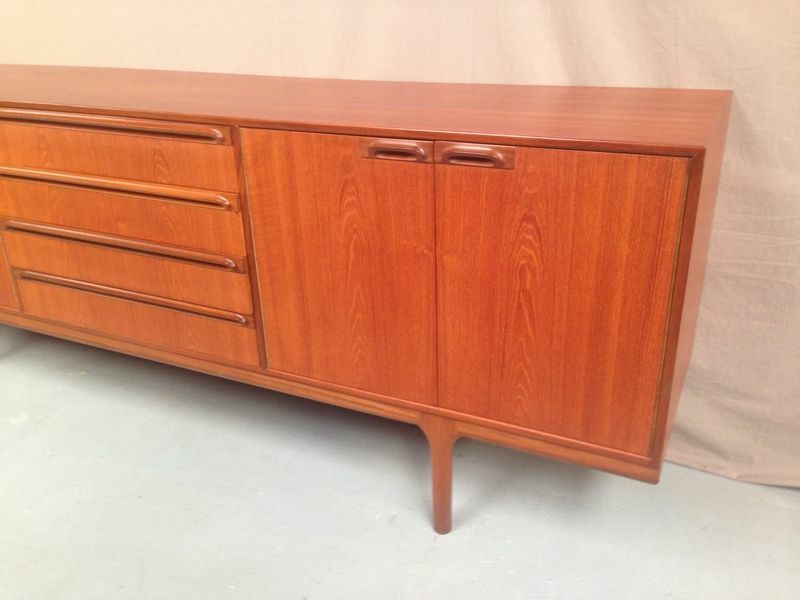 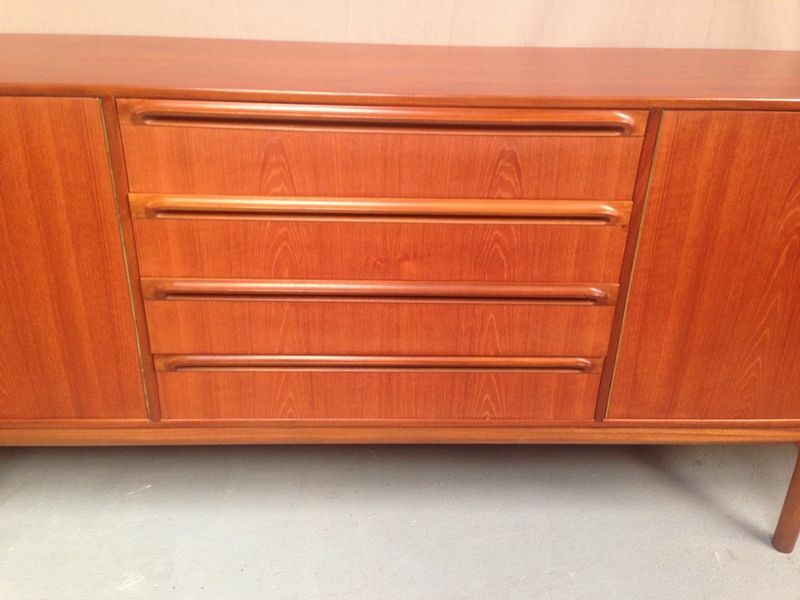 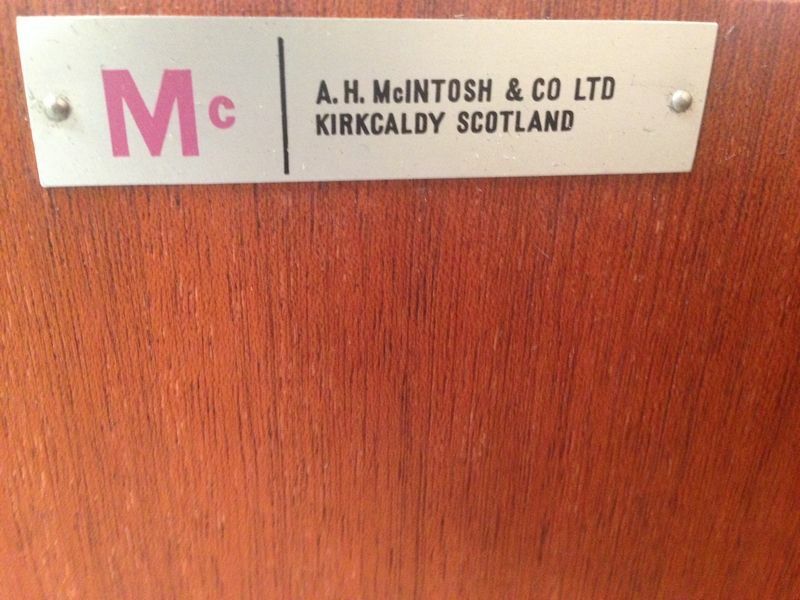 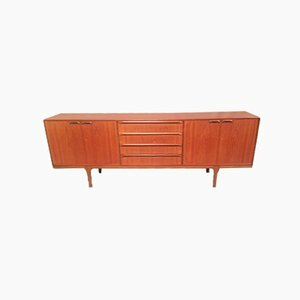 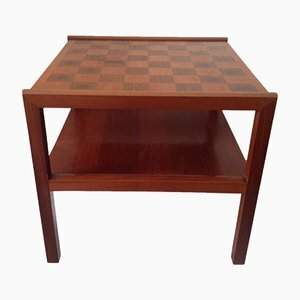 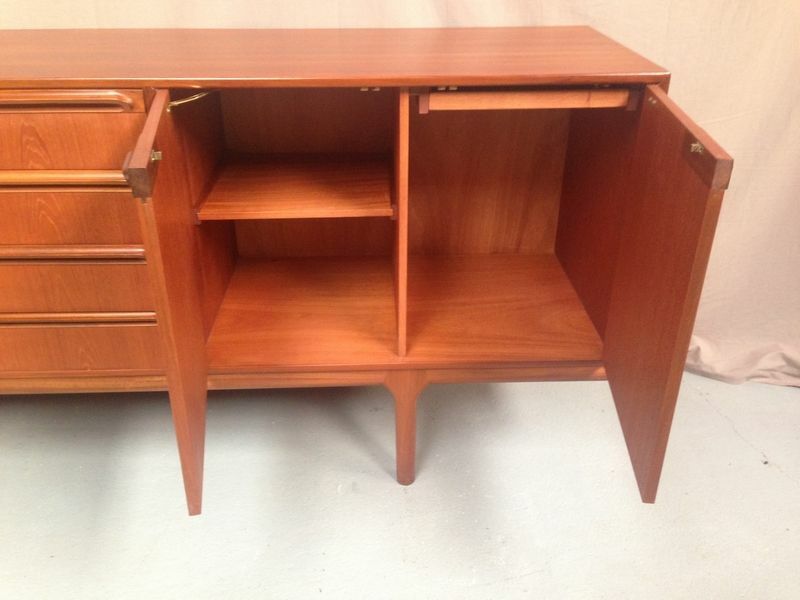 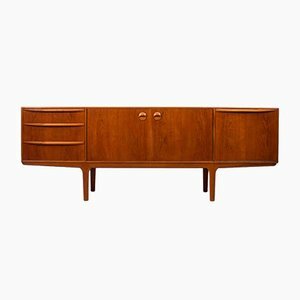 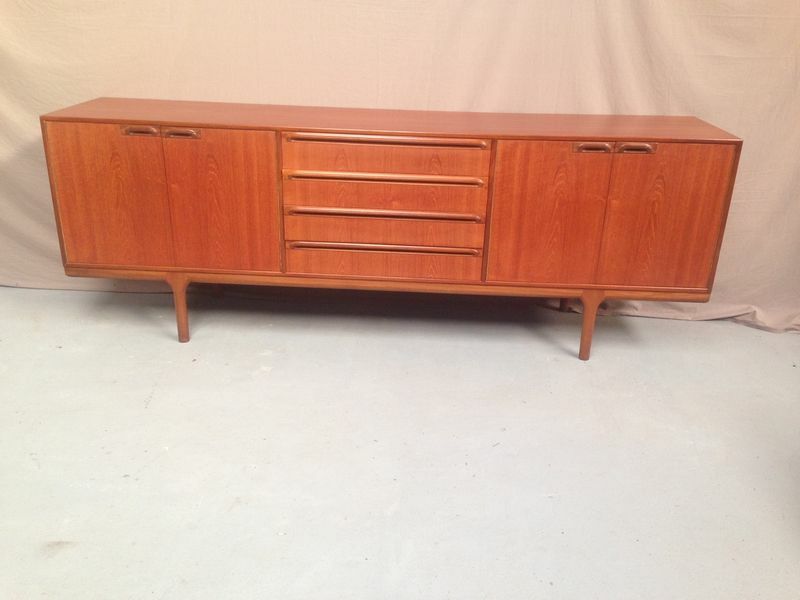 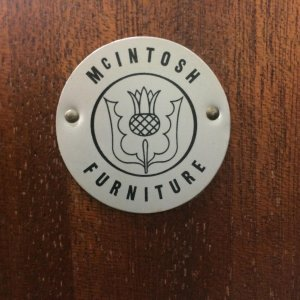 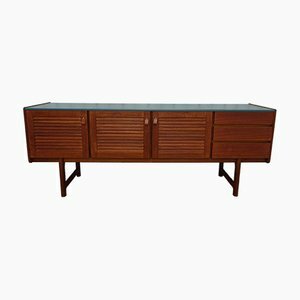 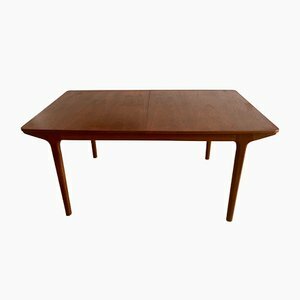 This 1970s Scottish teak sideboard has lots of storage. 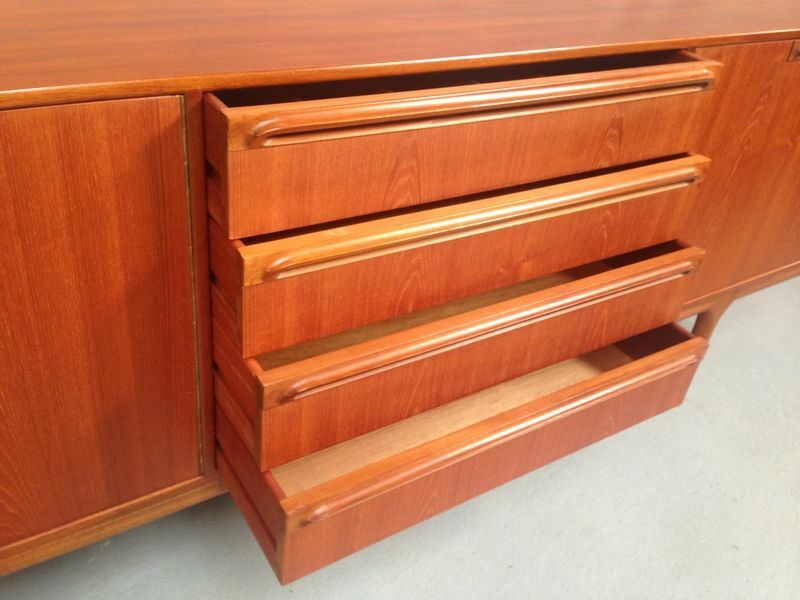 There are four drawers in the centre and the first is for cutlery. 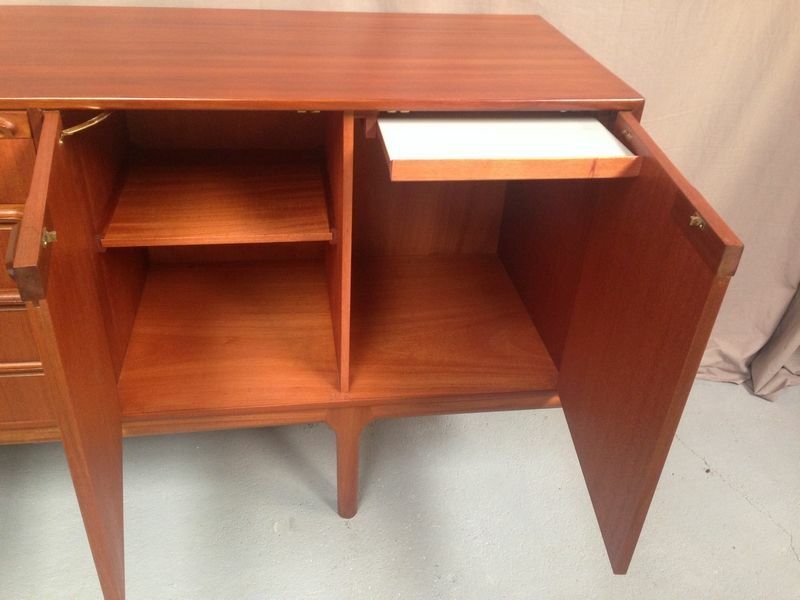 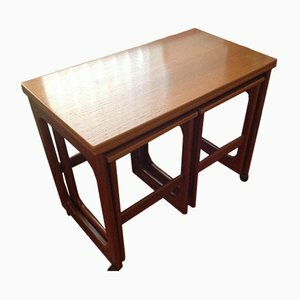 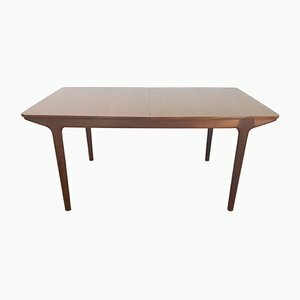 The right side is a bar area, with a fixed shelf, a partition and a sliding shelf under the tray.